One of our focuses was working on getting the management team (12 managers) to work together despite being in charge of different functional areas. This initiative started and stopped over the course of a year and we tried time and again to use retrospectives to help focus on small improvements. 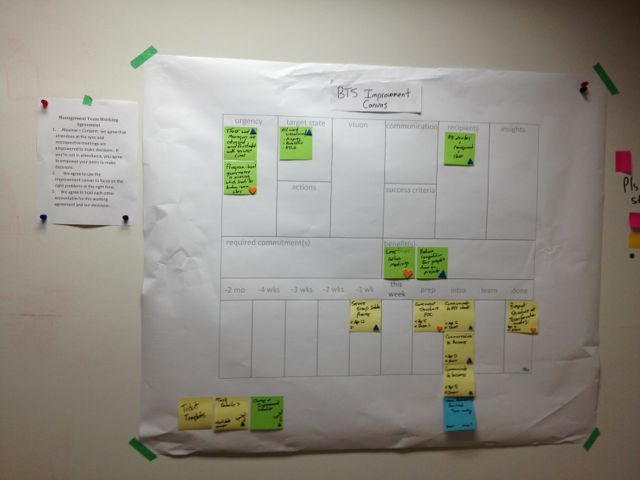 This image is a Lean Change Canvas and a working agreement we posted in a highly visible area. 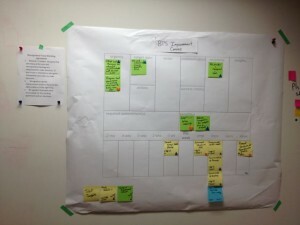 Management team agreements and a continuous improvement canvas. 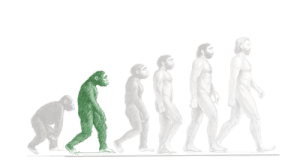 The desire to improve was high, managers tried many times to keep this continuous improvement initiative rolling but there were simply too many day-t0-day fires to put out and getting all of the managers together at the same time was challenging.